Ideally located for exploring the vibrant city of Glasgow, or the beautiful scenery of Loch Lomond. This traditional 18th-century, Grade B listed, detached gate lodge offers an ideal holiday base from which to explore the surrounding area. Local amenities include sailing and water sports, 1½ mile, and the Commonwealth mountain bike course. Situated close to the city of Glasgow, Peel Lodge is only 20 minutes by train from the city centre with museums, gardens, art galleries and superb shopping, restaurants, entertainment and nightlife. 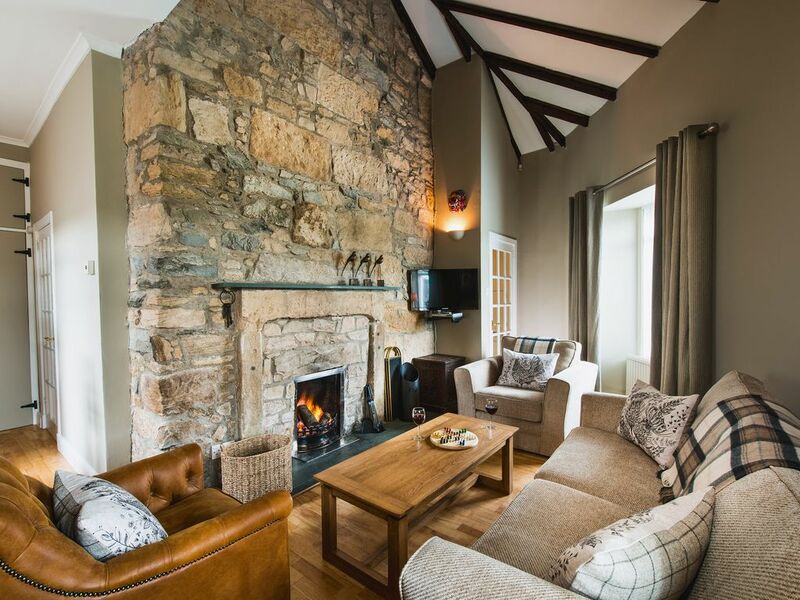 Just 30 miles away is Loch Lomond and The Trossachs National Park, one of Scotland’s most picturesque areas, with excellent outdoor activities to be enjoyed including walking, cycling, golf, fishing, pony trekking and water sports. Ayrshire, with its stunning coastline, sandy beaches and historic sites is nearby, and the islands of Arran, Bute and Cumbrae make for a great day out. The historic cities of Edinburgh and Stirling can be reached in an hour. Shop, pub and restaurant 1 mile. Living/dining room: With open fire, Freeview TV, DVD player, CD player, MP3 connection and wooden floor. Kitchen: With electric cooker, microwave, fridge, freezer, dishwasher, washer/dryer and wooden floor. Oil central, electricity, bed linen, towels and Wi-Fi included. Inital fuel for open fire included. Travel cot and highchair available on request. Welcome pack. Enclosed lawned garden with sitting-out area and garden furniture. Bike store. Private parking for 2 cars. No smoking. Please note: There is a river, 220 yards away. Initial fuel for open fire included, thereafter available locally at cost. Up to two dogs only. There is a river in the grounds, 220 yards from this property. Located a few minutes drive from Carmunnock, (a one restaurant village), this property has good access to Glasgow and the Ayrshire coast by car. The accommodations are a little tired in places but adequate and very clean.